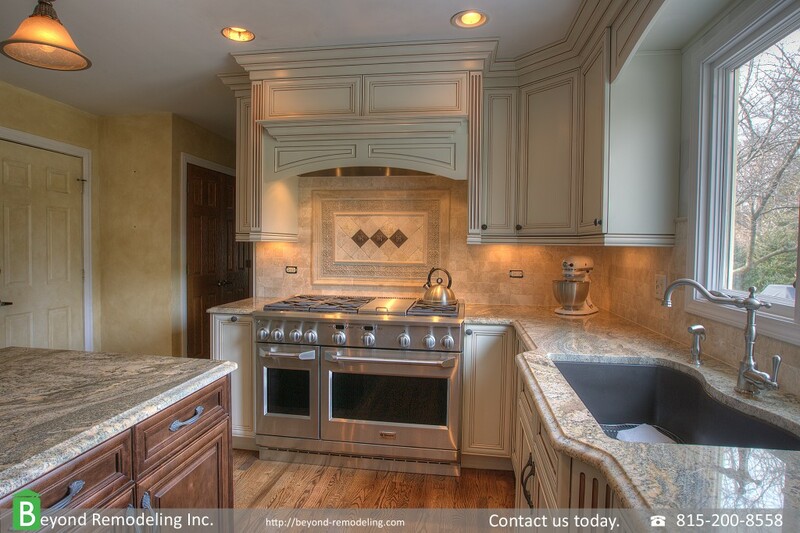 Kitchen remodeling in Evergreen, CO and surrounding areas. As everything else in your house, kitchen has it’s lifespan. Eventually things will start falling apart, appliances will not work that great anymore and cabinets will look outdated. With all this happening you will decide to do some updates or complete kitchen remodeling. For most of us this is major decision and you will not want to do it more than once in the house you live in. That being said, you want to make sure it’s done right first time. You might want to ask your self. How do I make sure the kitchen remodeling project goes as planned? That’s great question and we would like to help you answer it. One of the most important things is to have good plan. To help us come up with good kitchen plan we need to answer some questions first. Why have you decided to remodel your kitchen? Is your kitchen layout not working for you? What don’t you like about it? Would you like to have new kitchen appliances but they will not work with your current kitchen layout? Is your kitchen too small so you would like to expand the kitchen into dinning room? Do you want it to be more of family gathering place rather than just plain kitchen? Make sure you have answers to these questions. We as designers and contractors strive to bring ideas to the table and it makes it easier if we know what your expectations are. Let us know what does or doesn’t not work for you in your current kitchen. Don’t be afraid to bring your own ideas into discussion. Are you happy with your current kitchen layout? That makes everything much easier. We can just replace cabinets, appliances and counter top. We will keep kitchen cabinet footprint as it is and focus on basic kitchen remodeling. We like to keep things as simple as they can be for our customers . Not happy with your current kitchen layout? Project will get more complex if you need to or want to change you kitchen layout for whatever reason. Yes, changing room layout is almost always more expensive but it’s so rewarding at the end when things are done right. Sometimes even small layout changes can improve your experience while cooking in many positive ways. Using 3D design software for kitchen remodeling. Sometimes it may be difficult for average person to visualize layout changes and that is where 3D design can be very handy. We can provide you with accurate 3D design that will help you see final look of your new kitchen fairly close to reality. It’s much easier to eliminate or change things you don’t like in computer before real cabinets get installed. I think we can all agree on that. Have your budget ready and be upfront about with your contractor. We have great plan for our kitchen and it’s time to spent some money. At least on the paper. You need to have good budget and some money on top of that. There are many things good contractor can do to minimize any unexpected surprises but trust me, there can always be something you can’t see or don’t expect when you start moving walls and changing layout. I have yet to find good surprise (still hoping for hidden stash of cash) and don’t get me even started on what I have found inside and behind walls over the years I’ve been doing remodeling. In all seriousness, we can’t see inside of the wall and even after best visual inspection there might be things out of our control that need to be fixed or moved. Read why we firmly believe that you should disclose your remodeling budget to contractor you trust. There is no simple answer to that and it will vary a lot. Most of the money you are going to spend on finished product such as cabinets, counter top, flooring and appliances. Probably somewhere around 65% on average kitchen remodel. Labor and other expenses would be somewhere around 35%. Average kitchen remodel is a key here as many factors will play important role. Start moving walls, get fancy with cabinet details and that ratio can change dramatically. Once we have all items above selected together with finalized plan, we can give you fair estimate on labor and other materials. Nobody can give you fair estimate without taking steps above first. Just think about it for a second. If someone comes over and just give you number without even knowing exactly what will be done, most likely you will not be happy at the end. Experienced contractor will be able to give you good idea about their workflow. How things will be done and approximately how long it will take for your kitchen remodeling project to be completed. That can help you to schedule your life around it. Yes, there are unfortunately some inconveniences that you will encounter during construction. Here are some tips how to survive without the kitchen during kitchen remodel. Mark start date for your project and hopefully your new kitchen will be done in timely manner as planned. Fortunately it’s always good time to barbecue outside in beautiful Evergreen CO or anywhere in Denver Colorado area for that matter when indoor kitchen is not available.